The 4th Annual Fantasy of Lights 5K and 2K will take place on November 16-17, 2019. The course is illuminated by the "first lighting" of over 120 brilliant, animated light displays depicting holiday scenes. This event is the perfect way to kick off the holiday season! Efforts to ensure all participants receive a shirt will be made as best to our ability. 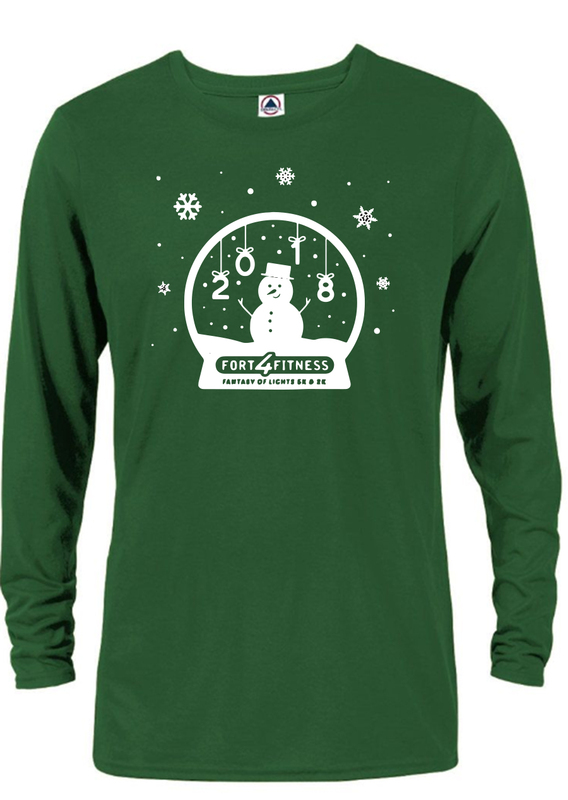 Shirt guaranteed to participants who registered by 11/1/19. ONLY Saturday 5K participants will receive a bib with chip timing (and post-race results online) and post-race snacks. There will be no timing or post-race snacks for Sunday 2K participants. Online registration closes Wednesday, November 13th at 11:59 PM. Onsite registration will be available during Packet Pick-Up on Friday (12 PM - 7 PM), Saturday (3:30 PM - 5:30 PM) and Sunday (3:30 PM - 5:30 PM) for an increased price at Pavilion 1 at Franke Park. Strollers are allowed, but must be registered. A small portion of the route is gravel. Please consider this when registering a stroller or wheelchair and run/walk with a stroller or wheelchair at your own risk. The Saturday 5K course has more gravel on the route than the Sunday walk. Fantasy of Lights is northeast Indiana’s favorite winter holiday event! This drive-through event is situated in Franke Park and transforms the park into a spectacular winter wonderland with over 120 larger-than-life brilliant, animated light displays. Click here to learn more. View an interactive map of the Fantasy of Lights courses!